Las Vegas is one of the best cities to visit from the USA thanks to its legendary reputation and its unique tourist attractions, both widely known around the world. Vegas was built from scratch not so long ago, and, because of that people had the opportunity to give this place a unique personality. Even if the city might be best known for its numerous gaming locations, Vegas also has some really unique places worth visiting while being there. The issue is that the city has so many great places that it’s very difficult for new people to determinate what’s worth seeing the most. Starting from that idea we tried to put together a list showcasing some of the most unusual and most unique places worth visiting while being in Vegas. Maybe you’ve seen some of those cinematographic masterpieces showcasing Vegas some 30-40 years ago, and now, while being on your trip you’re expecting to visit those landmarks. The thing is that Vegas it’s a living and breathing place thus, things tend to be changing constantly in this city. Gaming and casinos are an integral part of Las Vegas’ identity, and the last standing Sigma Derby Machine shines a light on certain classic games that are not found in the current Vegas gambling culture. Besides the many card games and the slot machines similar to the free slots online that people can play nowadays, old-school Vegas casinos also used to own Sigma Derby Machines. Sigma Game Inc. used to create these derby horse racing machines in the ’80s, and even if the machines became very popular in Vegas, the company decided to stop creating them. Because of that, the Sigma Derby Machine present in The D Casino Hotel is the only one left in the world and a favorite for Vegas vintage passionates. Vegas and the Nevada desert are widely known for their often way too warm climate. Locals are constantly trying to combat the hot temperatures either by spending their time in the pool or by drinking a large number of cold drinks. Even if both methods work to some extent, the people behind Mandalay Bay found the ultimate solution for the warm weather, the Minus5° Ice Bar. The Minus5° Ice Bar is present on the premise of the Mandalay Bay Casino Resort, and it enables people to go straight from the gambling tables into a place that allows them to cool down quickly. The whole venue, including the walls, the bar, and the chairs are made out of solid ice, 90 tons in total, constituting the ultimate solution for the hot weather. Lonnie Hammargren, a retired neurosurgeon, and former lieutenant governor is also a local legend in Vegas and the owner of one of the most eye-catching houses representative for the Vegas culture. Lonnie has been collecting memorabilia items for decades, storing them around his house and holding tours for the visitors. As part of his ever-growing collection of unique things are a mini Taj Mahal, a Barbershop, a T-rex replica, and an underground mine. Lonnie is hosting a tour in his home museum once a year, every year, over the period when Nevada Day takes place. 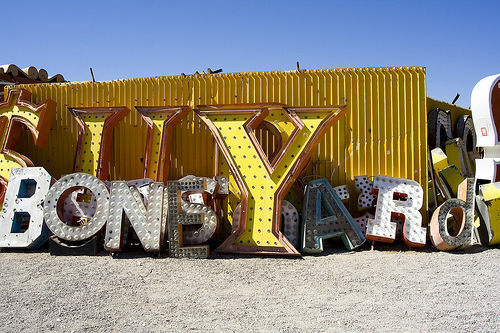 Las Vegas is the place to go if you want to see unusual street art since such masterpieces are displayed at every corner of the city, being an intrinsic part of the city’s personality. Such an art piece is an open-air sculpture made out of 200 full-sized boats situated right in the middle of luxurious casino resorts and shiny Vegas neon signs. Vegas it’s a city with a unique culture, and amazingly looking architecture. The city has so much to offer that it’s impossible for tourists to visit everything over the span of a few days. Besides the famous tourist locations displayed everywhere, there are a couple of unique places, such as the ones mentioned above, worth visiting by anybody that’s looking to get a real feel of what Vegas is about. This is one of the most popular attractions of Georgia. This 3200 acres Stone Mountain Park is the destination of having too much fun, any time around the year. You can enjoy the largest laser-light show in the world in this park during the summer. If you are there in winter, don’t miss snow tubing. The main attraction of this museum or park is the granite monolith that features the carvings of the Confederates and it is larger than Mountain Rushmore. Atlanta is the capital city of Georgia where you can find this aquarium, the largest one in the Western Hemisphere. It is also the second largest in the world. With 10 million gallons of water, this huge aquarium is the house of millions of aquatic animals, like whale sharks, bottlenose dolphins, beluga whales, manta-rays and so on. Other than that, there are also sea-mammals, like sea otters, African penguins, etc. to raise your curiosity. If you visit the southeast part of Georgia, you will get the experience of visiting the quail hunting ground of the world. The Pine Hill Plantation is the best ground of quail hunting during the hunting season. A day of hunting on horseback and then resting in the log cabins with all facilities will give you an unmatched experience. Do you remember ‘Teffitti’ in the Disney movie ‘Moana’? You can visit her in this garden. Actually, the topiary of a lady is the main attraction of this garden. If you want to spend few times in serenity, this is the place where you go to. The Japanese Garden part is really amazing where you can find Japanese maples, traditional Japanese architecture, ponds, and greeneries. Apart from that, there are Rose Garden, Children’s Garden and so many fun places to roam around. Your Georgia trip won’t complete unless you have a Georgia peach. And this is the best peach you can have ever in your life. There are more than 40 species of Georgia peach, available in the country. And each one tastes delicious. Visit the country during mid-August to grab the best one. So, here are certain amazing things you can do in Georgia. Visit the country and have an amazing experience from your trip. Want to book a flight from Dubai to London, United Kingdom, but you are stranded on the best flight? Don’t worry, we will provide you with the information that might be of help to you by answering the following two questions. Exploring the world is obviously magical and a great experience that each one of us wishes to go through. However, the booking can be challenging. With the 37 airlines and 2382 flights weekly to London, getting the best available flight can be a nightmare. 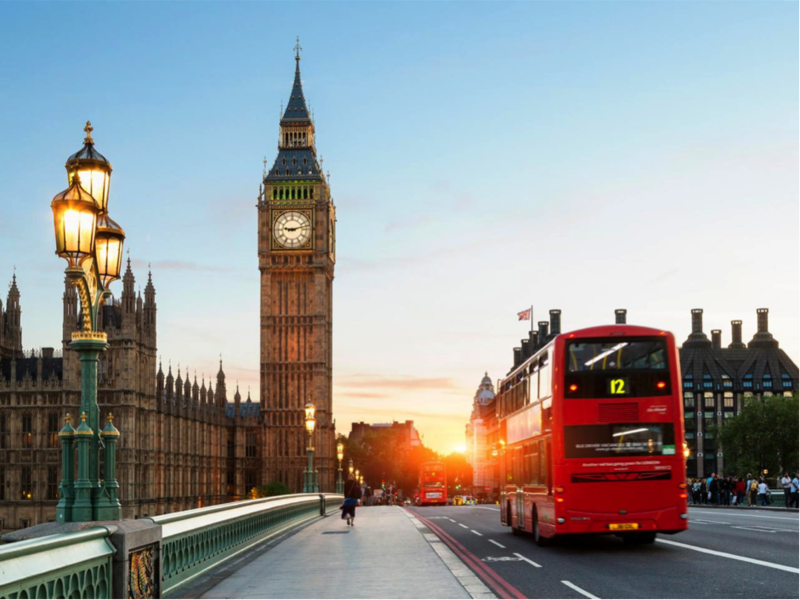 The only best way that you can find a wonderful deal for your flight to London is through searching the multiple sites available. You are advised to run a search on the FareCompare as it searches various sites and their respective fare simultaneously. This process gives you the prices of all the flights and you will be able to choose the lowest among them. Ignore the myth that cheap flights are equal to bad experiences while flying. Airlines are known to adjust their flight fares from time to time and therefore, FareCompare advises you to book your flight from Dubai to London on Saturdays, Tuesdays and Wednesday when prices are usually low as compared to other days of the week. There are various airports in Dubai you can book your flight from but the most common airports to departure from are Dubai International airport (DXB) and Sharjah International airport­­ (SHJ). The comfort and services offered by DXB are excellent. Although Wi-Fi is sketchy in parts around the airport, it is free. Regardless of the airline you choose, all flights from Dubai to London must take more than four hours, you are served with a free meal. How much does a flight from Dubai to London cost? Comparing different airlines, the average cost of the flight is AED 1,304. 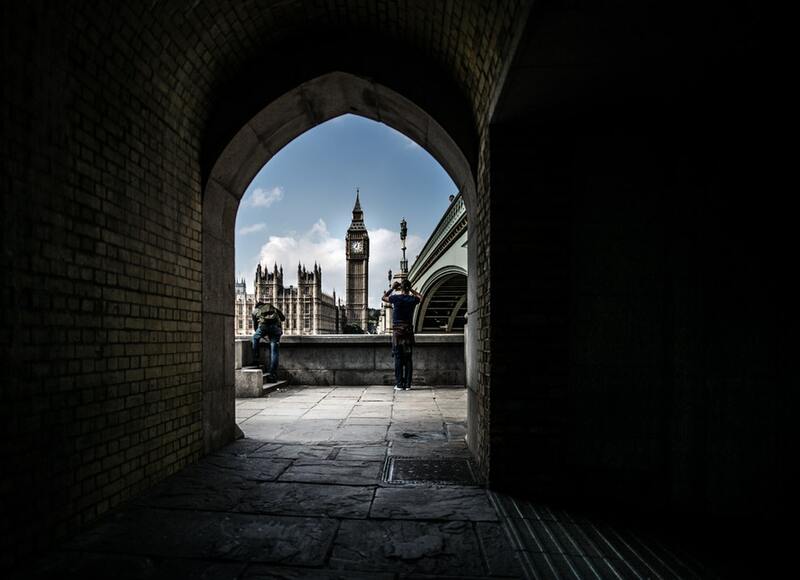 Looking for a flight from Dubai to London is made easy and convenience by use of Expedia. It allows you search through all the airlines and settle on a great and affordable flight. Also, you will also be able to get the perfect time and date for travel. If you need some extra money, your car (or other vehicle) could be your secret weapon. Whether you’re looking to supercharge your savings account for a one-off purchase or looking for a side hustle for when business is slow or seasonal, your car could be the answer. There are several things you can use your car for, which can either be a regular commitment or something that allows you to work when you like. There are lots of sites you can sign up to now to deliver items for people. If you’re already a company, sites like Shiply are easy to use and you can start bidding on delivery work along routes that you already travel. This is useful for if there’s somewhere you regularly travel to, where you can make a delivery without making much of a detour. Top tip: You might not have a bid accepted for a while, so don’t give up if your quotes don’t get accepted straight away. There are lots of food delivery companies that could work for your situation. It might be a local restaurant that needs help for evening deliveries (which you can potentially work around a day job), or you might want to work for a company like Deliveroo or Uber Eats that will be able to offer more hours of work and more flexibility delivering fast food options. Top tip: If you’re taking on this work alongside your main job, make sure you don’t do too much and are able to still have some free time. When you’re not driving your vehicle, it’s sitting there losing value, so why not let someone else use it? There are a few websites like EasyCar where you can list when your car is available for hire for your neighbours to book. The website will take a percentage of the renter’s payment which goes towards insurance so your own car insurance won’t be affected in the event of any accidents while it’s under hire. 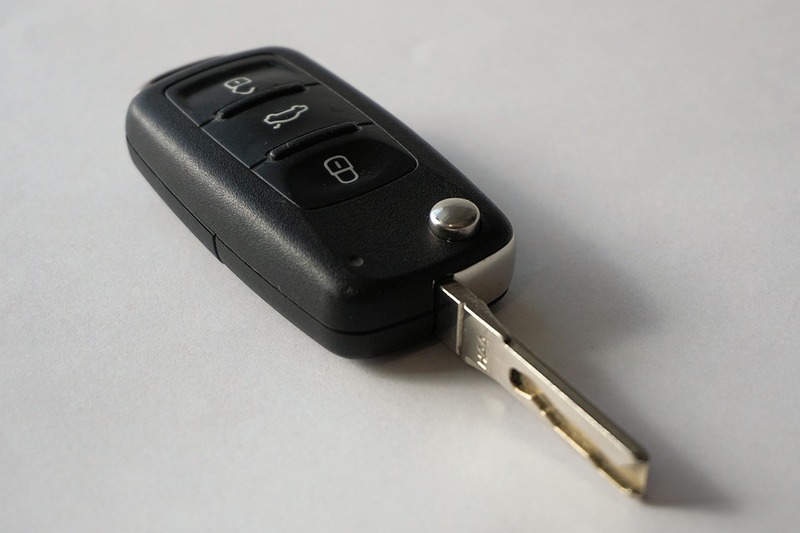 You may find a few restrictions depending on which site you use, such as the age requirement of your car, and you may want to set your own restrictions for those hiring your car, by putting a maximum mileage restriction for each hire or limit how many days someone can hire the car for. 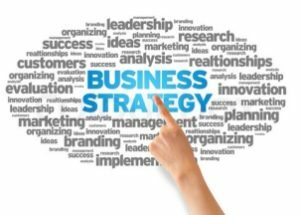 Top tip: For your first few bookings, offer a low price to attract customers. Once you’ve got some good feedback, you might find your car should be worth more, so amend later if you like. If you find that you’re regularly travelling alone, it can feel wasteful when driving a whole car just for one or two people to get from A to B. Rather then make money from your car, you could instead list your journeys online for passengers to join you and contribute to the fuel costs. Great for those of you who use your car frequently for long journeys and where hiring your car isn’t an option. Top tip: For the times when you don’t fancy driving, you can also use these sites as a passenger rather than a driver for a more relaxing journey. If you enjoy playing fun, potentially lucrative slot games on sites like http://casinosformoney.com/ in your spare time and love the thrill of winning cash prizes, simply continue reading to discover 5 types of fun slot games to try out. While the vast majority of slot games feature single line slots, which only give individuals one chance to line up symbols, to form a line in the middle of the screen, in recent years multiple payline slots have become increasingly popular. Just keep in mind that generally, you’ll have to pay a small amount of credits, for each additional line which you choose to activate and play with. Many online slot games offer multiple playline slots which feature either 25 or 50 play lines. However, it’s well worth noting that purchasing additional play lines won’t necessarily increase your chances of winning a huge jackpot. Wild play slot machines are fun to play as they offer you chances to potentially double, triple or quintuple your winnings. Better yet in situations, where you may be one symbol off forming a winning line, you may find that the mismatched symbol is a wild symbol, which will unlock a bonus feature or a multiplier. So if you believe that you’d be excited by potentially being able to double, triple or quintuple your winnings it’s well worth giving wild play slots a go. Progressive slots exist in brick and mortar casinos and as part of online casinos offerings and links several slot games together, so that one player who’ll be chosen at random, will receive a lucrative jackpot. If you see yourself as a lucky individual, it’s well worth trying your luck with progressive slots. 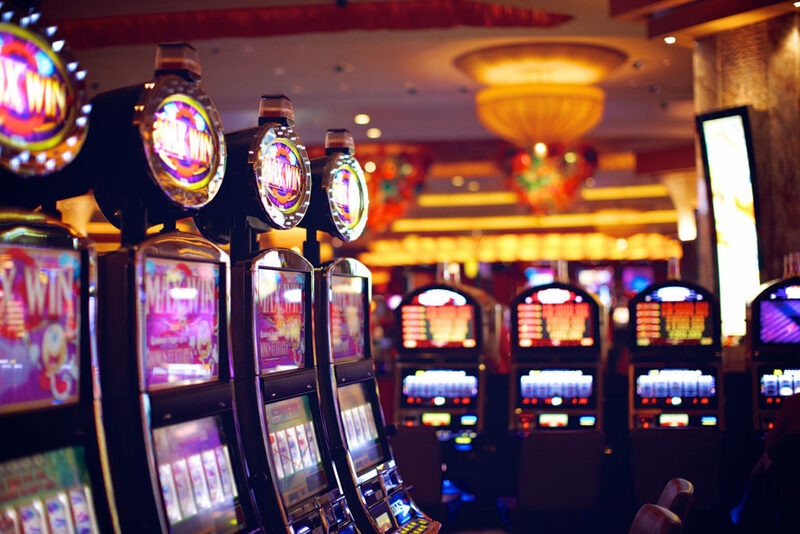 If you’re always on the lookout for fresh new slot games to play, you may want to try your hand at playing a slot game, which is themed around a popular TV series. As an example, you may be interested in playing a Desperate Housewives slot game or a Wheel of Fortune inspired slot game. As new TV slot games are released on a regular basis, so you never know when you’ll find a new slot game, based on one of your favorite TV series being launched. If you’re a huge Game of Thrones fan, you’ll also be pleased to hear that there is a Game of Thrones-themed slot game to play. Which happens to offer high payout rates. Whether you’ve been to Vegas numerous times or you hope to win an online slot machine jackpot in order to fund an upcoming trip to Vegas, it’s well worth trying your hand at Vegas-style slots, which boast fun animations and sound effects and are among some of the most popular types of slot games currently on offer! So if you love playing slot style games and the thrill of matching up enough symbols to win a cash prize, it’s definitely worth using the above guide to pick which style of slot game you should play next. There is no doubting that England is a beautiful country. It has it all: big cities to appeal to our metropolitan sides, ancient castles which are still standing after hundreds of years, and of course, an astonishing countryside. The British countryside features diverse yet gorgeous landscapes across the country, from the rolling hills of the Yorkshire Dales to the sandy beaches of Dorset, there is something for everyone to enjoy. 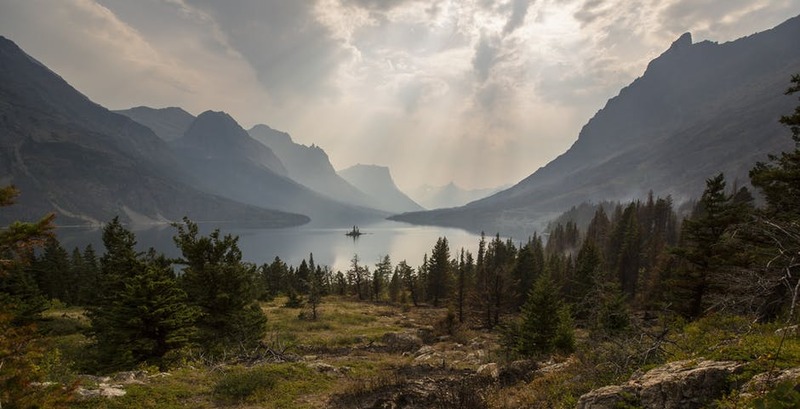 So, let’s look at some of the best countryside locations you must visit the next time you take a trip across the pond. Starting with the most northern landscapes in the country, the county of Northumberland is certainly worth visiting. Located around 64 miles north of the city of Newcastle upon Tyne, Northumberland plays host to some of the most stunning landscapes in the country. 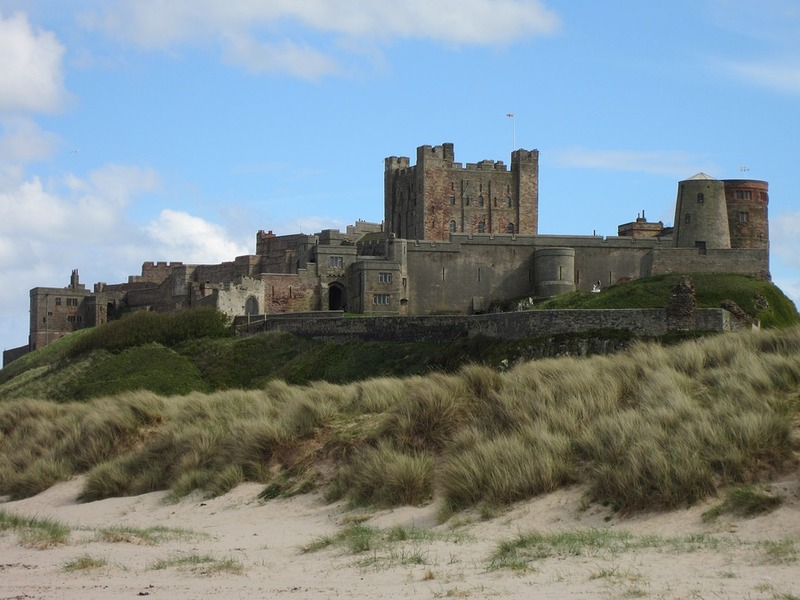 With picturesque coastlines such as Amble or Bamburgh to wander along on a sunny day, or the ancient castles of Alnwick or Dunstanburgh where great kings and leaders once lived, there is such a diverse range of sights to see. Take a step back in time to the Roman Era and trek along Hadrian’s Wall. What was once built by Emperor Hadrian to keep the Scots out of England is now a picturesque landscape which is perfect for any nature lover. Becoming a member of the National Trust will allow you to visit these sights and so many more in Northumberland and across the UK and save you a few quid along the way. If you’re looking for a slice of quaint traditional English countryside which isn’t too far from big city life, then Merseyside is the perfect spot for you. Located near the eclectic city of Liverpool, Merseyside has lots of traditional English villages which look like they could be the perfect backdrop to a postcard. The village of Halewood features some beautiful nature such as tall trees, winding pathways, acres of farmland and some incredibly friendly people. It’s the perfect place to immerse yourself in nature and experience English village life, and since the Grand National is coming up, even head to a horse race at the nearby Aintree Racecourse where the Grand National betting odds could result in a lucrative visit! There is little wonder why the Romantic poets were so enamoured with the Lake District – just one visit will confirm they were right. It is the perfect countryside getaway from the hustle and bustle of the city with plenty to do and lots to see. Whether you are journeying to Kendal, Keswick, Ambleside or Windermere, there is more than enough to keep you occupied. Take a trip out onto the Derwentwater Lake to take in the views, hike up to Cat Bells (or if you’re brave enough, try tackling the Langdale Pykes), quench your thirst with a refreshing pint in one of the many climber’s bars and finish it all off with a prestigious live performance at the Theatre by the Lake. With such a great range of activities and fantastic sights to see, the Lake District will definitely be added to the top of your list. England may be a small and rainy country, but it is full of stunning natural beauty which may be missed if you only stick to the big cities. Take a train to any of these gorgeous locations and we can promise you won’t be disappointed. Throughout my life I have always had a passion for traveling and whenever it was possible, I loved nothing more than strapping a backpack on or packing up the suitcase, and heading off to explore somewhere new. The places that I visited changed greatly as my years rolled on, and with age I noticed that I had a far deeper appreciation of architecture, and in particular historical architecture. I have made many friends during my travels and when it comes to historical architecture, there is nobody better than the knowledgeable Abraham Cababie Daniel, a man who has taught me a great deal. The way that I travel now is to go looking for the most spectacular pieces of historical architecture that I can find, and I wanted to share with you some of the most memorable buildings which I have been fortunate enough to visit. If Spain is on a top travel destination, this is a must see. 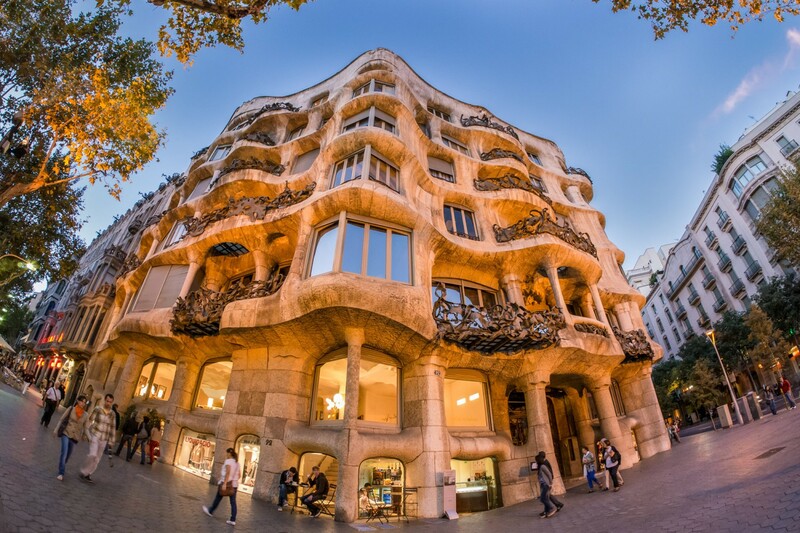 An architect who has always stood out to me was Antoni Gaudi, a fascinating man with a brilliant mind, who was given licence to let his ideas roam free in the city of Barcelona and beyond. Whilst many will wax lyrical about his masterpiece, La Sagrada Familia, my personal favourite is La Pedrera. This building is unusual and beautiful in equal measure, built in line with the Art Nouveau movement, it is by far and away one of the most imaginative houses that I have ever seen. In spite of the popularity of London’s installations such as Big Ben and Tower Bridge, for me its most iconic building is that of St. Paul’s Cathedral. Designed by the fantastic Christopher Wren, and with work beginning in the 17th Century, this building simply amazes from every angle. The most famous part of the cathedral is no doubt the impending dome which sits on top, and the fact that it sits on London’s highest point means that the dome can be seen from far and wide. This was actually the rebuilding of a church which perished in the Great Fire of London, and they have done a magnificent job in creating one of the most detailed and well planned buildings in the world. Sometimes we miss what is right in front of our eyes, and that was something which I was definitely guilty of when it came to the White House. I was lucky enough to win a competition last year, with the prize being a tour around the building, and it blew me away. IT is not just the Presidents that have occupied this building that serve to impress you, so too does the building itself. Designed by Irishman James Hoban in 1792, the building was finished just 9 years later. The nooks and crannies of this building are architecturally mesmerising and so too are the external features. I you are able to, do everything that you can to get a tour of this wondrous building. Scenic and diverse landscapes, awe-inspiring wildlife, isolation from the hustle bustle, beautiful blue water beaches and rich cultural traditions are just a few among the many experiences Africa has to offer. Whether you are a modern nomad or a person on a short trip, covering the entire continent and truly living through it can take decades. Here a few binding experiences that leave the deepest impressions on you rub in a feeling of leaving with more that what you came with. Don’t miss out on these wonders! While the African mainland offers wonderful beaches and port towns such as Dar-es-Salaam, the real beauty that must be experienced is in the Islands of Zanzibar, Seychelles and Madagascar. The picturesque blue waters have something to offer for every beach lover. From basic huts to luxurious resorts these islands will wrap you in a experience that will last forever. If there was ever a perfect getaway, it would include sailing away on a dhow or unwinding to the soothing sounds of the waves crashing ashore. These islands will most certainly add perspective to all the other experiences that encompass the mysterious lands of Africa. While there are series of natural wonders that will make you gasp, few will ever come close to the feeling of achieving the feat of climbing Africa’s highest mountain, literally soaring above the cloud, atop the world! Not only this, the view throughout the final stretch of the trek to the summit is unbelievable. The Karanga camp just shy of the peak will offer you the opportunity of a lifetime – touching marshmallow clouds while standing above them, as the sun rises in the distance and awakens the world beneath you. You can also spot Meru – Kilimanjaro’s little sister in the distance. The peak itself also offers views of sparkling glaciers and Mawenzi’s spikes breaking through the uniformly ragged cloud cover, as the satisfaction of accomplishing the formidable climb amplifies the humbling yet exciting feeling of standing atop the world. Kilimanjaro climbing is a must when traveling to Africa this year! If you are the type who is not satiated with the adventure in the great migration and lion-watching, transport yourself to a little plunge pool right at the edge of the world’s largest waterfalls – the Victoria Falls. Mosi-oa-Tunya (“The Smoke That Thunders) on the Zambezi river forms one of the most monumental water spectacles in the world as more than 10,000 cubic meters of water cascades down 108 meters every second! When the water of the Zambezi recedes marginally, it is possible to walk along the lip of the falls and plunge into one of the many rock pools formed through erosion over thousands of years. While it is impossible to achieve this feat when the Zambezi is raging in full flow, the view from the edge of the falls makes for one of the most exhilarating experiences. Apart from the fact that you might not be able to hear yourself think, the experience of plunging along the edge of the world’s highest waterfall will certainly raise your heart rate and stay with you forever. The waters at Gansbaai are brimming with the largest density of shark population on the planet. The great white sharks being one of the most treacherous predators, are ideally something to watch out for, rather than to watch. But at Gansbaai, you defy all fear and logic, and take a dip in the waters to get an unimaginably close look at them. You might as well be a piece of bait dangling from a fisherman’s pole. But don’t you worry, a highly secure galvanized steel cage will keep you out of harm’s way. 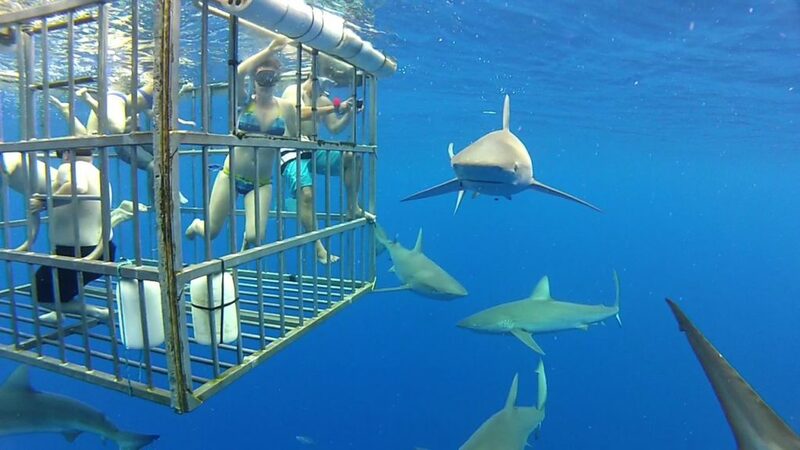 Hungry white sharks expectantly make their way to your cage and stare at you from a breath away. Feel your goosebumps rise with this madly intimate encounter with danger. Get yourself in ‘deep trouble’ at Gansbaai. India is the second largest country in the world in terms of population. After China, the maximum number of people live in India. India is a peninsula and also the seventh largest country in the world when it comes to area. India is a very attractive destination for travelers because of the rich and varied range of sights and experiences it offers. It seems to have everything from nature, history, culture, archaeology, to entice the traveler. On the one hand its bustling and vibrant cities offer great experiences while the diverse landscapes of the countryside relax and rejuvenate the travellers. India is home to some historic cities which include its Capital Delhi which has been continuously inhabited since the 6th century BC. If Delhi is the political Capital of India, then Mumbai is the financial Capital of the country and is also ranked among the top ten centres of commerce in the world. 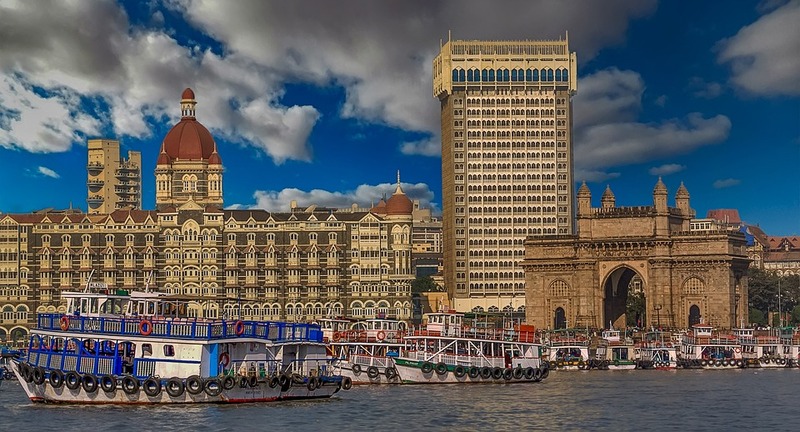 Mumbai is also the home of Bollywood, the Indian film industry and is dubbed as the city of dreams. Mumbai lies on the western coast of India at a distance of about 1400 Kilometres from Delhi in the western state of Maharashtra, India. One can conveniently and quickly get to Mumbai from Delhi considering the frequency and availability of Delhi Mumbai flights. A flight from Delhi to Mumbai takes about two hours. Mumbai is the melting pot of India. It is a city where millions flock from all corners of the country to make their fortune. The city’s culture embraces all and sundry and into its fold. If you are in Mumbai, apart from being swept away by its vibrant and pulsating nature these are some top experiences that you must have. Any visit to Mumbai would be incomplete without seeing the iconic Gateway of India which is so synonymous with the city. 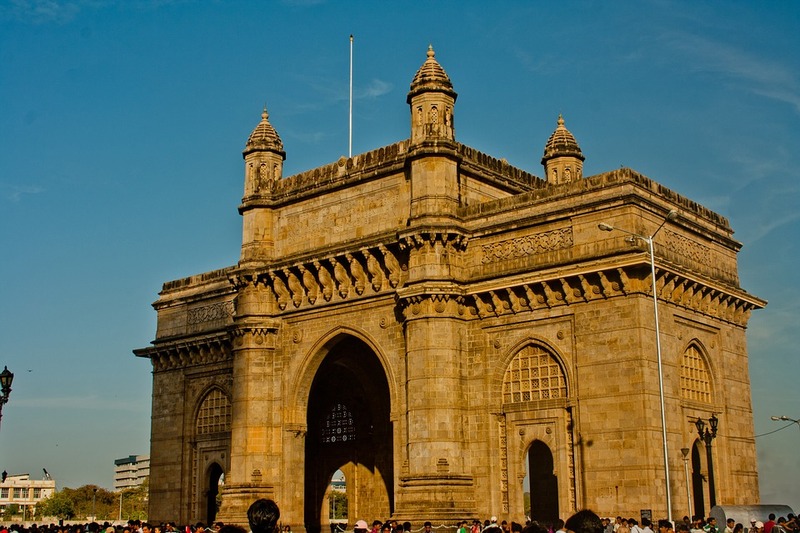 The massive structure of the Gateway of India stands on the edge of the Arabian Sea. The Gateway of India was built as a symbolic gesture for welcoming King George V and Queen Mary to India in the year 1911. Though the foundation stone for the Gateway of India was laid in 1911 it was completed in 1924. The Gateway of India is an architectural wonder built in a style that combines the best of Hindu and Muslim architecture. The Gateway of India is a great place for photography. A walk along the promenade enjoying the cool breeze from the Arabian Sea in the evening is a pleasant experience. The Haji Ali Dargah is a unique mosque as well as a tomb. It lies about 500 metres away from the coast on a small islet in the Arabian Sea. The place can be accessed during low tide as the footpath leading to it gets submerged during high tide. The Haji Ali Dargah was built in the 15th century in memory of a Muslim merchant by the name of Sayyed Peer Haji Ali Shah Bukhari. The Muslim merchant who was originally from a place called Bukhara, now referred to as Uzbekistan had settled in Mumbai and was living the life of a saint and spreading the tenets of Islam in the region. Today millions of visitors from all religions visit the Haji Ali Dargah. The structure of the Haji Ali Dargah which is built in the Indo-Islamic style of architecture stands like a white pearl in the midst of the blue sea, beckoning visitors to its fold. Juhu beach is a six kilometre stretch of beach in Mumbai that is very popular with tourists and locals alike. It is abuzz with activity in the evenings and a great place to head with the family for some fun times. Horse carriage rides and camel rides along the sandy beach lure children while adults can simply laze on the beach or walk along the shore looking at the waves of the Arabian Sea crashing on the beach. There is a food court which is famous and serves a delectable variety of spicy snacks. The beach is situated in one of the more affluent areas of Mumbai where many of the stars of Bollywood, the Indian Film Industry, have made their homes. If you are in Mumbai, there is no way that you can miss savouring the Vada Pav. Vada Pav is a fast food dish which is vegetarian in nature and its ubiquitous presence is felt everywhere in Mumbai. From the streets of Mumbai to railway stations, bus stands, and airports, the Vada Pav is available everywhere. Vada Pav is a street food which consists of deep fried potato dumplings known as Vada which is sandwiched between a slit bun known as Pav. The Vada Pav is eaten with spicy sauce known as Chutney and a green chilly. The Vada Pav is to Mumbai as the Pizza is to Italy. The Elephanta Caves are situated on an island known as Elephanta Island which is about two kilometres away from the Gateway of India. One can reach Elephanta caves by taking a ride on a ferry steamer from the Gateway of India. The caves consist of rock cut sculptures that feature Hindu Gods as well as Buddhist motifs. One of the notable sculptures is a 20 feet monolithic rock sculpture that depicts a three headed Shiva, a popular deity and part of the trinity of Gods in Hinduism. The part of the caves that are dedicated to Buddhism have Stupas, which are rock edicts. The Elephanta caves which are a part of the UNESCO World Heritage Sites date back to somewhere between the 5th and 8th century AD. If you have half a day in Mumbai it is indeed worthwhile visiting the Elephanta caves which are a window to the glorious past of the region. These are just a few glimpses of the fascinating city of Mumbai in India but enough reason to categorize it as a must visit city in India.